Against the odds, farming sisters Kirsty and Aimee Budge dealt with the death of their father by turning to the one thing he knew best. Marie Claire Kidd meets the formidable girls. When their father lost his life in a tractor incident, Kirsty and Aimee Budge’s lives changed forever. Against all expectations his youngest and eldest daughter took over the running of their family farm that has been in the family for 150 years. The seventh generation of their family on this land, the have strived to continue the farm’s success and have adopted best practice as they learn from shared practice. It has been a big challenge, but their efforts have already paid off. They are about to almost double the number of livestock they keep and are making moves to increase productivity in both their arable and sheep enterprises. Earlier this month they were named the Countryfile Farming Heroes as part of the BBC Food and Farming Awards and were praised for their resilience and pioneering farming techniques on the Isle of Shetland. For these two young sisters, moving forward has meant listening to other farmers, being adaptable and trying new things. It also means honouring their dad, Bryden, who died four years ago, aged just 46. “A lot of people behind us have worked so hard to get the farm where it is now,” says Kirsty. “I hope we’re doing the things he might have done if he was here. The sisters admit farming on Shetland has some unique challenges, including a short growing season which means cattle on the island are usually housed for longer, increasing feed costs. “The weather, especially the high winds, can also be a challenge, and transport costs for animals, feed and other supplies are also much higher compared with most farms on the mainland,” Aimee adds. Kirsty says she is delighted their recent award has shone a light on the issue of succession, and in particular the capabilities of young female farmers. Aimee has just completed a HND in agriculture at Scotland’s Rural College and is moving back to the farm, bringing new ideas from Tarves, Aberdeenshire, where she worked with farmer Andrew Sleigh. Many of her female contemporaries are not going back to work on their families’ farms. “They just assumed their brother would have taken it over,” says Kirsty. “If we had an older brother I don’t think it would have made a difference. Since taking on the farm in 2014, the sisters have bought 20ha (50 acres) of mixed arable and grazing land from a neighbouring farmer, having rented it for many years. By next year they plan to have increased the number of sheep they care for from 240 to 400 and are working to increase their scanning and weaning percentages to sell more lambs. For most of the year the sheep are kept on the beautiful 80-hectare (197-acre) St Ninians Isle, a small island accessed from the farm by a sandy causeway. The ewes return to the arable fields for flushing a month before tupping and are then turned back out onto the isle a week after lambing. The lambs are either finished or sold as stores at Thainstone in December. They are also bringing the number of cattle on-farm back up to the level present when Bryden ran the farm. With three of their own bulls, they have 80 spring calving Salers cross Shorthorn suckler cows, producing Salers or Charolais cross calves which are sold as stores. Aimee says: “Shorthorns work for us as they’re hardy with some being outwintered, which helps us keep our costs down." The sisters sell most store calves at local markets at 12 months, but also finish some and supply local butchers on the island. In total the farm comprises 300 hectares (741 acres), most of which is permanent pasture and intensive grassland. In December 2016 they became Shetland’s only monitor farm – testing new techniques and sharing findings with other farmers locally and nationally. 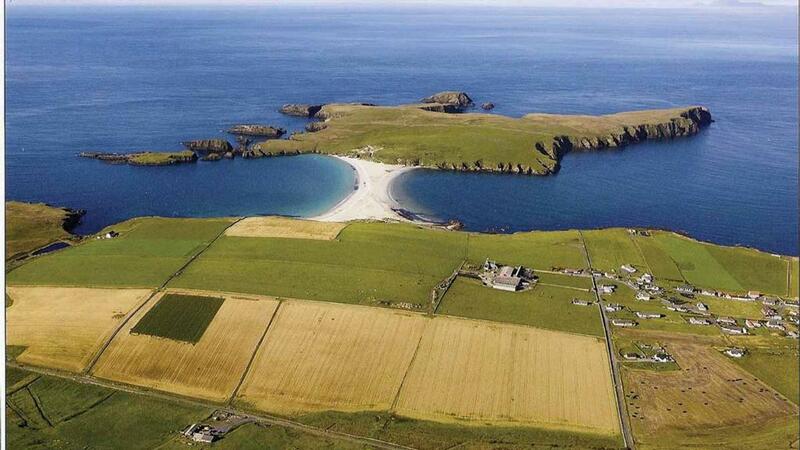 Bigton is one of just a handful of farms on Shetland suited to growing barley. The family harvested about 60 tonnes in 2016, and are keen to increase their barley output as they believe there is a strong market for it on the islands. Kirsty says: “We are trying push it much harder. We are doubling the amount of nitrogen we are putting on the barley and using growth regulators. We are hoping to go for an earlier harvest. As part of an AHDB national trial, they are planting the same barley varieties as farmers in Cornwall, Hampshire and Northern Ireland, namely two Swedish and Finnish varieties Anneli and Brage, an old variety called Golden Promise and a new variety called Fairing. “If we can push it as hard as possible at the beginning it should be ready by the end of August or the beginning of September,” says Kirsty. “The barley trials are taking a lot of time just now but next winter we’ll be looking at feeding of store cattle through the monitor farm programme. We’ve started benchmarking against other farmers in terms of things like costs, fertiliser use and yields. There’s no two farms the same but if you can try to compare farms in the same area. “The monitor farm programme has really helped us open up and listen to people,” Kirsty adds. “It’s not just professionals it can be neighbours. Mother Helen is understandably proud of her girls. “I couldn’t have done what they have done for the past three-and-a-half years,” she says. “They’ve been brilliant. But the sisters say assuming responsibility for the farm helped them cope with their sudden loss. "Initially, after Dad’s death, the farm really helped us because we had to get up, we had to get on with it,” says Kirsty. “We had to feed the animals and they were relying on us. 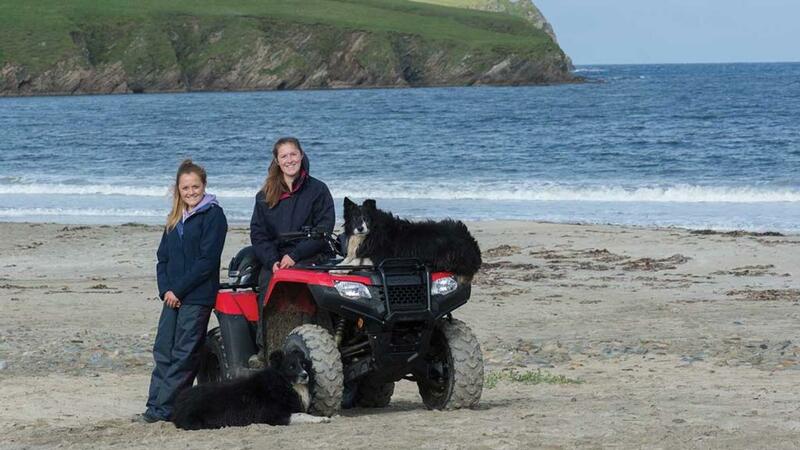 Kirsty and Aimee are passionate about farming and improving their business and keen to raise awareness of the importance of farming on Shetland. As testament to their father, they also hope to inspire young female farmers with their success. Bigton frequently tests new techniques and shares its finding with a network of local farms and a wider, national network. 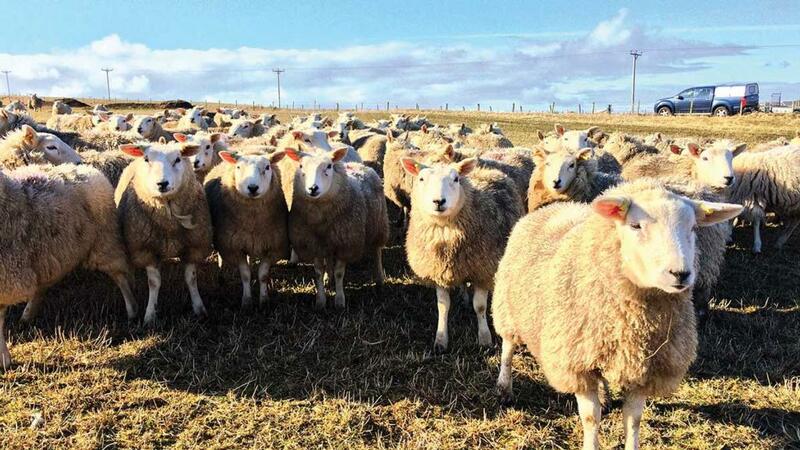 The monitor farm programme in Scotland is funded by £1.25 million from the Scottish Government and European Union’s Knowledge Transfer and Innovation Fund. It is run jointly by Quality Meat Scotland and AHDB Cereals and Oilseeds. The concept, adopted from New Zealand, allows farmers to share experiences, find out how others have tackled problems and adopt best practice. The aim is to improve profitability, productivity and sustainability by helping Scottish farmers develop their farm business management practices and improve agricultural efficiency, environmental management and climate change mitigation. Nine monitor farms have been established across Scotland. Each has a different focus determined by the predominant farming in that area, but the farms work together to bring relevant aspects of farm businesses to each group. Facilitators work with their monitor farmer to show how accurate baseline and benchmarking information can help improve profitability on the monitor farm and other local farms.